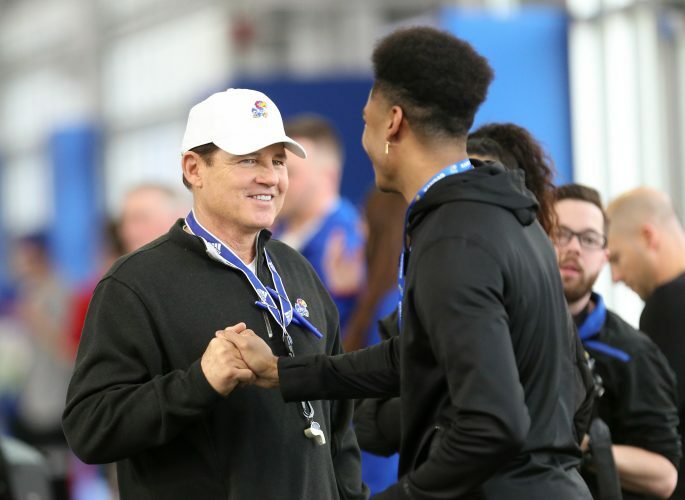 Kansas head coach Les Miles talks with offensive lineman Earl Bostick Jr. during football practice on Wednesday, March 6, 2019 within the new indoor practice facility. 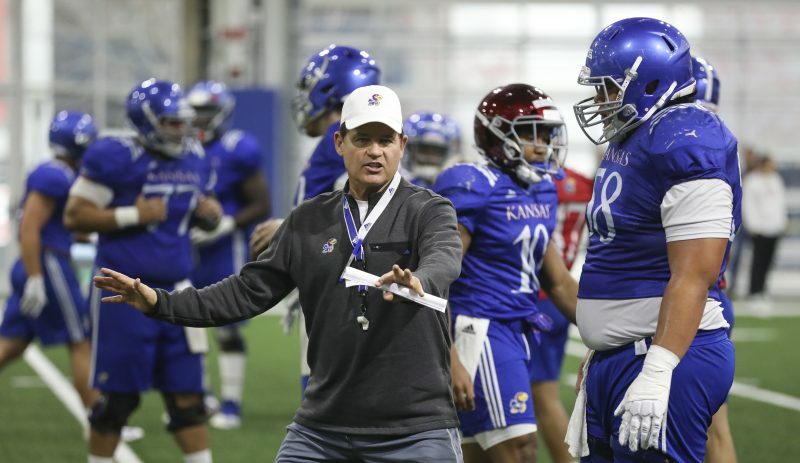 After getting the previous week off for the university’s spring break, the Kansas football team got back to its spring practice schedule Tuesday afternoon and, unlike the first two sessions from earlier this month, the Jayhawks got to wear some shells and do some hitting. 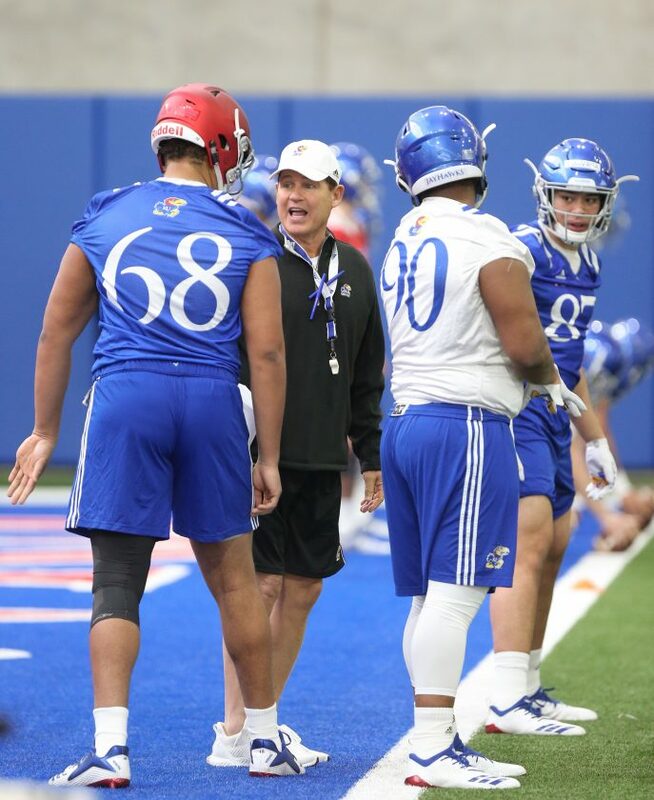 Along those lines, Miles shared, one offense versus defense period involved what he’s calling the “Jayhawk drill,” a variation of what is known throughout football as the Oklahoma drill. 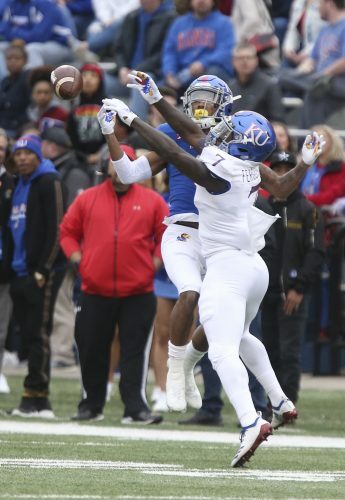 One member of KU’s offense lined up against a defensive player, and each tried to get past the other while the rest of the football team encircled them, coaches and players alike, yelling and rooting on the representative — or combatant — from their side. Miles sounded optimistic following his team’s third practice of the spring. 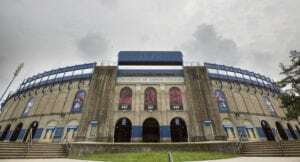 While the Jayhawks, per NCAA rules, have not yet practiced in full pads — their first chance to do so will come on Saturday — and still have 12 more practices to go before they’re done with spring football, Miles thinks he has seen some growth from them at this early stage of the offseason. “I’ve liked the offensive line, and I think the offensive line will continue to grow. But they’ve taken steps,” Miles said. 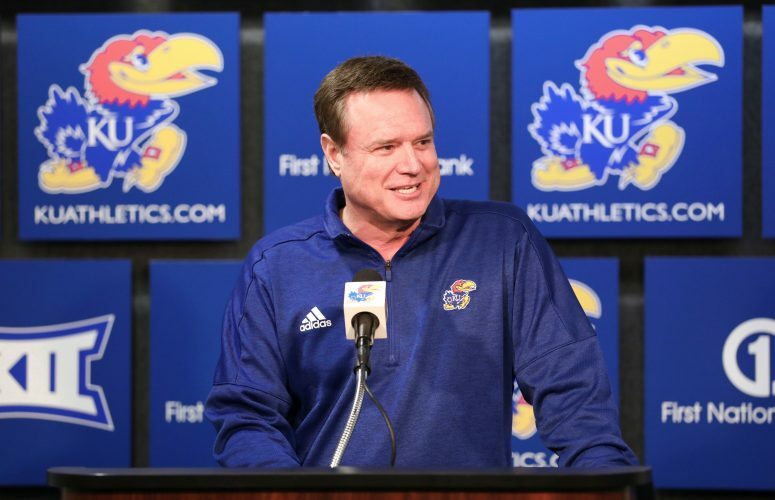 The first-year KU coach also expressed his appreciation for one aspect of the defense, as well.